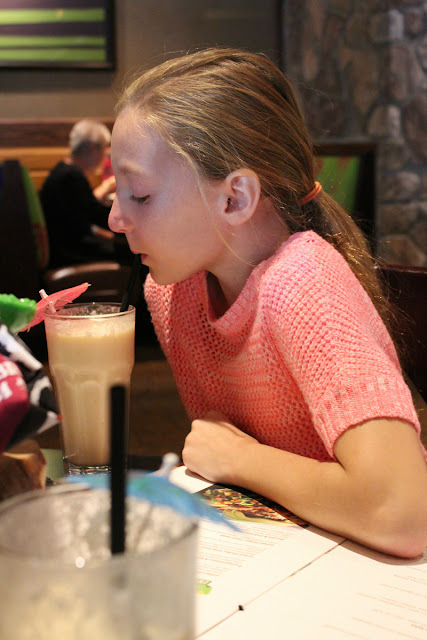 This post is written in partnership with Bahama Breeze, All opinions are my own. Although we love a quaint celebration at home, but for a nice change of pace, we enjoy a celebration out at a restaurant. Who doesn't love the chance to sit back and leave the cooking, serving, and cleaning up to someone else? Whether you are celebrating a birthday, an anniversary, a girls' night out, a retirement, or a report card of straight As, Bahama Breeze can make your celebration a memorable one. On a recent Saturday, the girls and I had a shopping trip planned to pick out the dress Emma would wear to the dinner/dance during her 8th grade trip to Washington, D.C. But before we hit the mall, we wanted to have lunch. We were eager to try somewhere new, and we mutually decided on Bahama Breeze in Toms River. 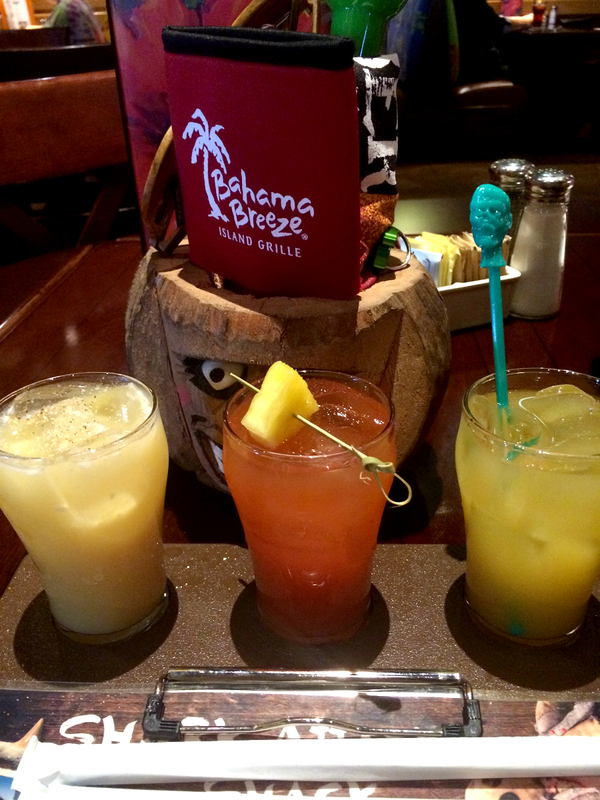 Upon our first step into Bahama Breeze, we were immediately transported to the tropics. 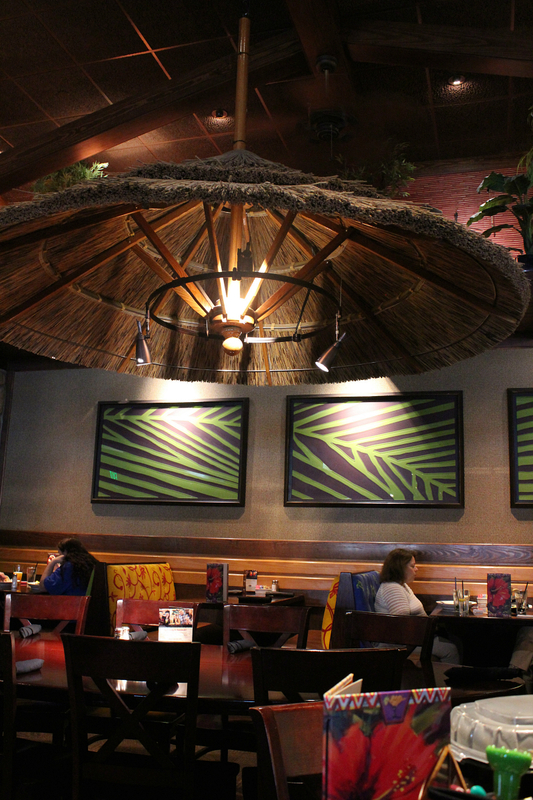 Lush tropical plants and decor surround you, giving you the feeling of being on a tropical island. We ordered some icy beverages and perused the menu. The girls ordered non-alcoholic piña coladas, and I ordered the "Shark Attack Shack" rum flight. You can read more about my beverage choice here. Bahama Breeze mixes up a variety of cocktails including signature cocktails. legendary island cocktails, tropical favorites as well as non-alcoholic concoctions, beer, wine, and sangria. Bahama Breeze proudly serves premium spirits and takes pride in every drink the mixologists make. 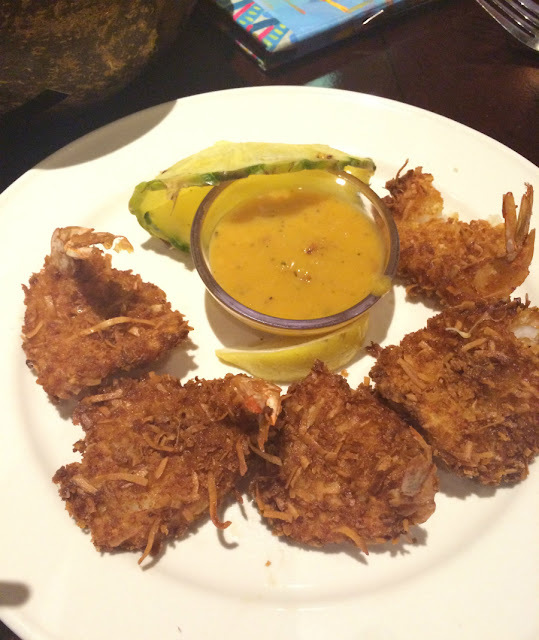 While we leisurely enjoyed our delicious drinks, we munched on the coconut shrimp appetizer. The large, succulent and crunchy shrimp are served with a citrus-mustard sauce. 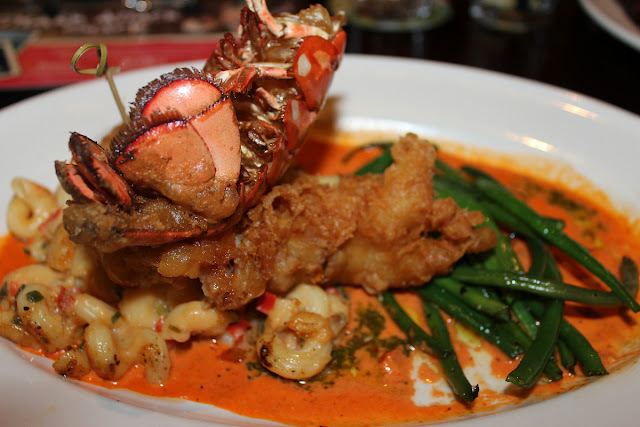 Bahama Breeze specializes in American cuisine with an island infusion. Caribbean-inspired specialties abound, and whether you are a seafood lover or a landlubber, there's something on the menu for everyone to enjoy. Both the manager Matt and our server were all too willing to give us recommendations and offer up their favorite menu items. I seriously wanted to order every item on the menu, so their feedback was very welcome. After going back and forth between the Calypso Shrimp Linguine and the Lobster Mac & Cheese, I ended up going with the mac and cheese. One bite, and I knew I made the right choice. It was delicious. It was rich but not so much so that you could barely have more than 5 bites. The side of fresh green beans offered a nice balance to the richness of the lobster and the cheesy pasta. Although there is a kids' menu, my girls ordered from the regular menu. They were both eager to try Caribbean twists on their favorite foods. 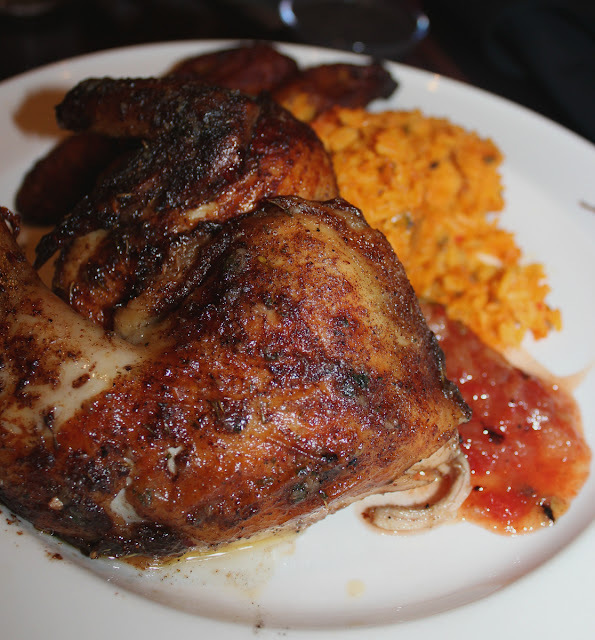 Emma, who has a penchant for spicy foods, ordered the Jamaican Jerk Chicken and cleaned her plate. Harper ordered the Grilled Chicken Caesar Salad and was thrilled with it. The chicken is marinated in a mango sauce before it's grilled, and the salad is topped with huge shavings of Parmesan cheese. And what's dinner without dessert? 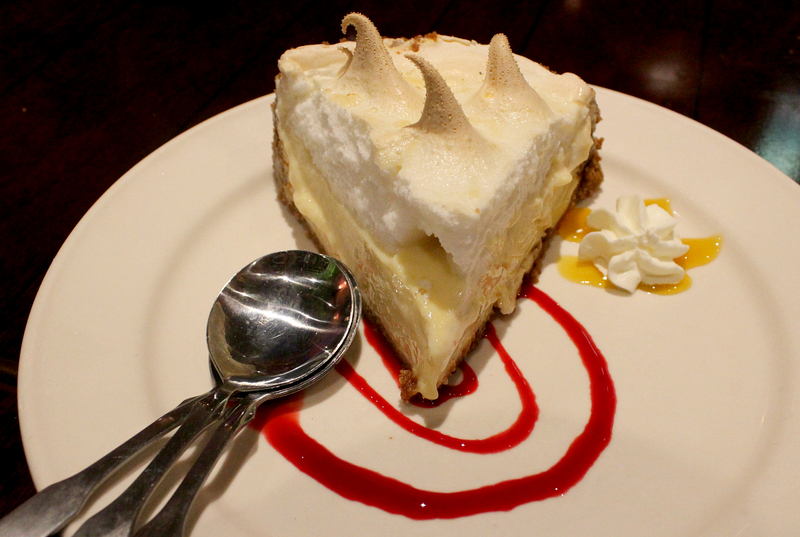 Bahama Breeze has six desserts on the menu, all sound as mouthwatering as the next, and after much discussion, we finally agreed on Rebecca's Key Lime Pie, a tangy pie with handmade brown sugar crust and peaks of golden meringue. Whether you are celebrating a momentous occasion or a small milestone, let Bahama Breeze play host to your next gathering. If it's cocktails and appetizers for one or dinner for ten, Bahama Breeze brings the islands to you in a fun, vibrant, and lighthearted atmosphere. 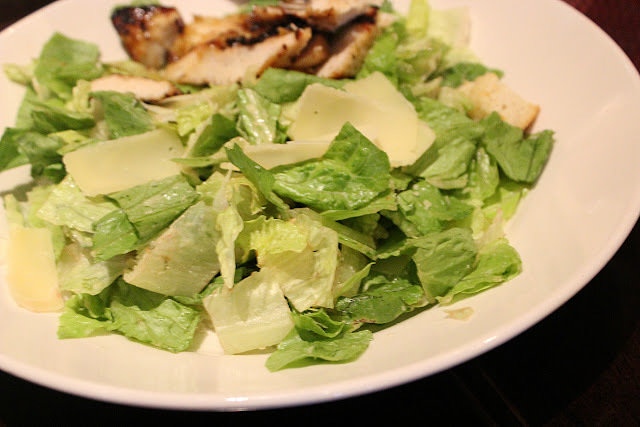 Bahama Breeze also hosts a happy hour Monday through Friday from 4 pm to 6 pm and a late night happy hour Sunday through Thursday from 10 pm to close. Enjoy hand-crafted cocktails, half-priced appetizers, and a good time. 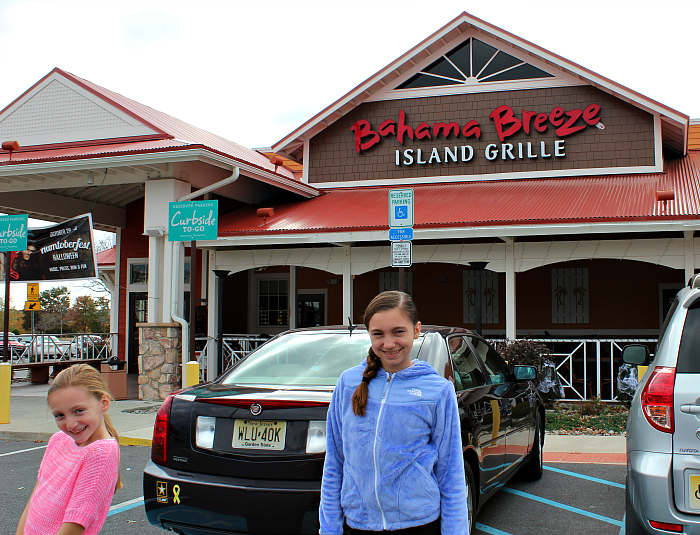 For more information, follow Bahama Breeze on its social channels below and on the Web at www.bahamabreeze.com.